Welcome to the grandest stately home of the Swanne Group situated in the picturesque town of Middelburg. With such a traditional name we had to conform to an elegant era backed by English traditions of cosy rooms, with class and character. The name originates from the Tudor Manor home situated in Stratford Upon Avon, England where the owners lived for several years. The home town of William Shakespeare with all the elegance inspired the young couple to resettle back in South Africa with an array of imported English furniture, paintings and tapestries. Can be used for function or weddings. The Cedar Room can host a max of 60 guest in banquet style. For more larger weddings we have a garden area where we can accommodate 120 guest under a marque tent. Can be used as a dance floor and DJ can be organised on guest request. Lounge area with fully licensed cash bar available. Please refer to our rates section on different packages and layout options. 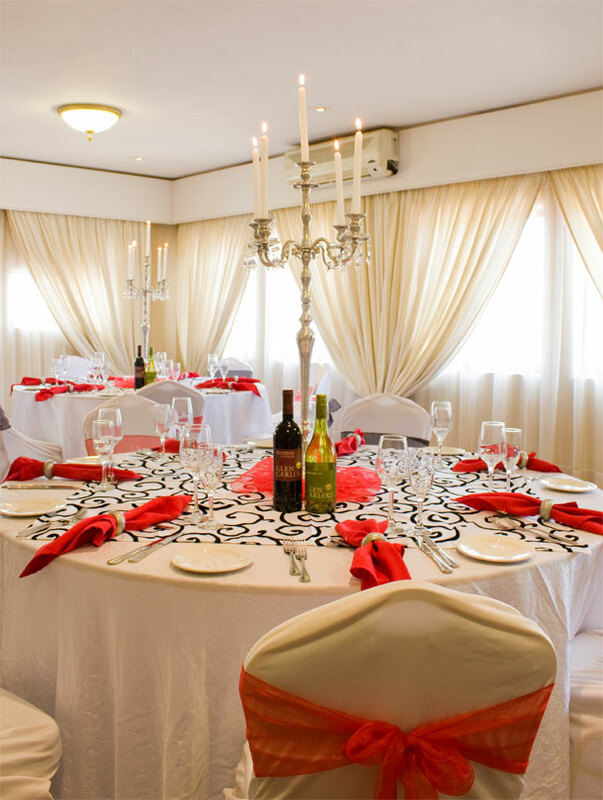 We also have luxury suites available for your guests that need accommodation after the wedding celebrations. To book your wedding at this lovely venue visit Alveston Manor.